Low mortgage rates make homes very affordable at today's prices, and investors have become very active in many markets. If you've already decided you can live with the hassles of being a landlord, or whether you'd just rather flip, then we suggest beginning your search already. 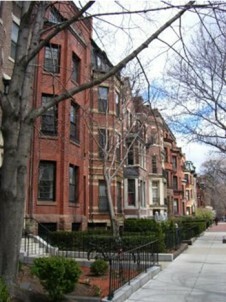 Buying in Boston is very segmented though, so if you're going for a single-family home, then your best bet is in the suburbs of the city, in areas such as Brookline, JP, Somerville, South Boston, or Dorchester. If you're thinking of renting out a condo or an apartment, then stay within the city limits. City properties definitely always have a promising future. Rental rates on the two types of properties are a key issue. Investors generally assume that it will take four or five years of rent increases for income to cover maintenance costs, taxes and other expenses. If there's a glut of condos or single-family homes, you may not be able to raise rents very fast, prolonging your time in the red. Of course, a glut also means home prices will not rise very fast. The ideal rental property is in high demand, allowing the owner to raise rents every year and assume that property values will rise at a good clip. Generally, operating costs are easier to estimate on condos, because the exterior work is covered by your association fees. With a single-family home, costs for a new roof, landscaping and exterior painting could hit you out of the blue. Another factor to consider: the type of renter likely to be drawn to your property. A recent survey by a premier property management group, which manages 1,700 properties in 20 U.S. cities, found that renters of single-family homes are 18 percent more likely to stay in the home for five years or longer. Generally, that's good for the property owner, because each change in tenants can mean going a month or two without rent. The survey noted an increase in recent years of the number of single-family homes for rent. That's due, in part, to the large numbers of foreclosed properties that have been turned into rentals and the difficulty many renters have had in getting mortgages. The survey found that single-family renters make more money and are nearly twice as likely to have children as apartment dwellers. Around the country, the median income for single-family renters ranges from $75,000 to $100,000, compared with $50,000 to $75,000 for renters in multifamily housing. About 63 percent of single-family renters have children, compared with 34 percent of multifamily renters. Single-family renters also tend to be older. No doubt, there are lots of terrific tenants in Boston among the childless 20- and 30-somethings who prefer multifamily housing and are likely to move fairly often. Most renters in Boston share their living space, so multifamily housing is not a bad idea. But tenants who are older, more prosperous, used to dealing with responsibilities such as children and likely to stay in the home for a number of years can be especially appealing for the property owner. With an unusually large number of renters of this type looking for homes, the single-family investment property is also worth considering.